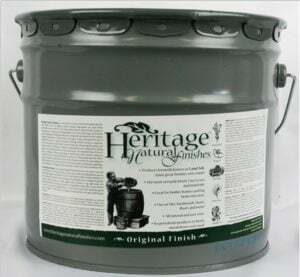 The Original Finish – Heritage Natural Finish can be used on practically any woodwork, especially timbers, logs, trim, or tongue in groove. It can also be used on fine furniture applications. 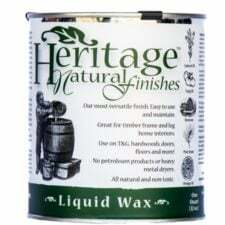 Original Finish is their most popular and most versatile finish. It can be applied in many different ways, including lamb’s wool pad, brush, rag, roller, or sprayer. It is thin enough for quick penetration but contains enough solids for a rich water-resistant coat. With two coats this has a matte finish. 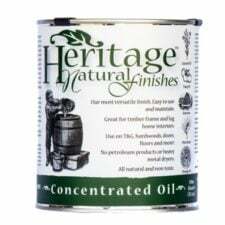 Adding additional coats, buffing and top coating with our Liquid Wax End Sealer create a shinier finish and increase the water-resistance. 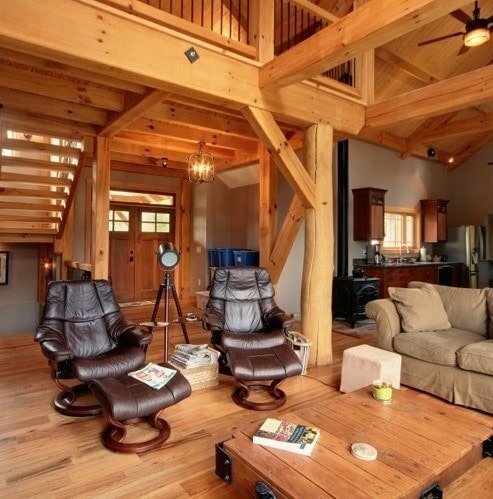 *For additional protection against insects, consider treating all exposed wood with a borate solution before using this product.